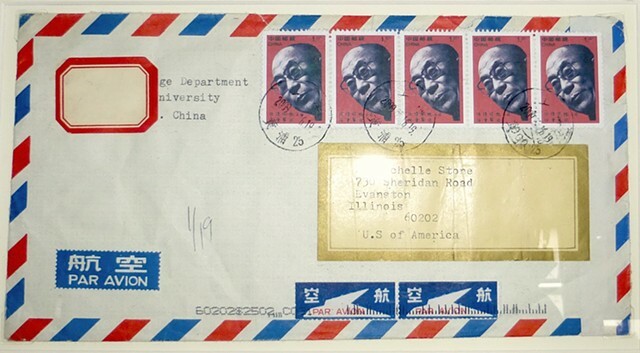 The Dalai Lama's image on a Chinese stamp. In Mandarin is says, "He is your leader, follow him". A very disturbing image for the Chinese to see, as I learned when I was detained by State Security agents in 2013 while in Shanghai. Although I was ultimately deported, I was told by my interpreter during questioning not to do anything rash, as the agents were looking for any excuse to "beat me up".